The 2013 National Sports Collectors Convention is the biggest event of the year when it comes to sports cards and memorabilia. The 2013 National takes place at Chicago's Donald E. Stephens Convention Center from Wednesday, July 31 through Sunday, August 4. This is the event's 34th year. About 600 dealers will be on hand, giving collectors a massive amount of cards and memorabilia to look at and purchase. About 50 corporate booths will also be set up, including major card manufacturers. The National is always a great place to find exclusive cards not available anywhere else. For many, the highlight will be meeting past and present athletes during autograph signings and photo opportunities. Click here to buy advance tickets and get package details. If you're coming from out of town, you're going to need a place to stay. Here are some of the places to stay that are near the Donald E. Stephens Convention Center, the site of the 2013 National Sports Collectors Convention. Click here for a full slate of Chicago and area events from July 31 to August 4. The 2013 National Sports Collectors Convention autograph guest lineup has a definite 1990s feel to it. Frank Thomas, Cal Ripken Jr, Rickey Henderson, Chipper Jones, Randy Johnson, Mike Piazza, Roger Clemens and Pedro Martinez are among those confirmed for the five-day show. Although baseball dominates, other sports will be represented as well. Football's Bart Starr and boxer Sugar Ray Leonard are among them. Autograph tickets are available now. Prices range from $20 up to $199 for basic items. Premium items like jersey often cost more, particularly for the most notable names. Many athletes are also available for other upgrades like photo opportunities and inscriptions. For those looking to possibly sell their items in the future, TriStar is also offering on-site authentication for $7. Please check the TRISTAR's site for a full price list and advance tickets. Eighteen signers are available for free to VIP and Super VIP ticket holders. VIP admission packages, which start at $129, include entrance on every day of the event as well as 12 VIP autograph tickets. Super VIP packages start at $179 and come with admission for the duration of the 2013 National and autograph tickets to all 18 VIP signers. For an additional $100, ticket holders can get front-of-the-line access for all autograph signings. These upgrades also have some additional perks. Tickets for the 2013 National Sports Collectors Convention can be purchased here. Autograph lineup is subject to change. * notes VIP signers. 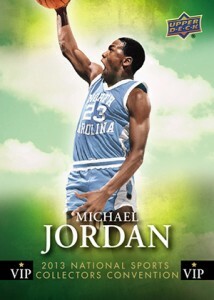 Several sports card manufacturers will offer exclusive cards at the 2013 National Sports Collectors Convention. You can find details below. We'll continue to add more info as it's released. 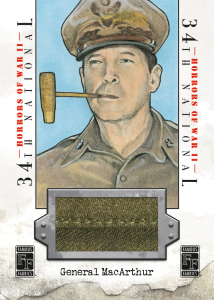 Horrors of Wars II Redemption: Those who open a sealed case of ten boxes of 2013 Famous Fabrics Ink Horrors of War II receive a redemption for a one-of-one Art Relic of their choice. Cards will be made and delivered after the show. Quantities are limited. Music, Music, Music Beatles Draw: More than a year in the making, the winner of a cut signature card featuring all four of the Beatles. The company has been eliminating potential winners since Music, Music, Music released early last summer. The draw is scheduled for Saturday, August 3 at 1PM. 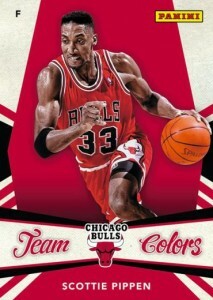 VIP Package: In the Game has produced a nine-card set for VIPs called Chi-Town Enshrined. 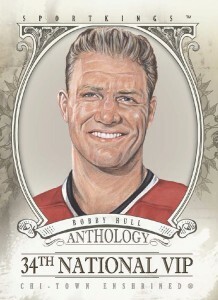 The art-based cards celebrate some of the host city's all-time hockey greats. 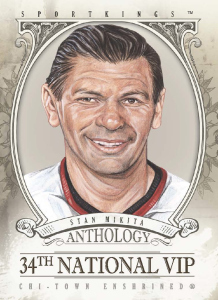 The checklist includes Max Bentley, Roy Conacher, Tony Esposito, Charlie Gardiner, Glenn Hall, Bobby Hull, Stan Mikita, Bill Mosienko and Pierre Pilote. 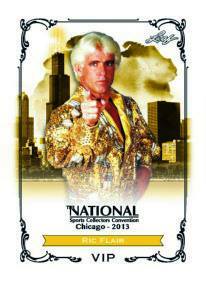 Shop for 2013 ITG National VIP cards. VIP Package: Covering a broad spectrum of sports and pop culture, Leaf's VIP set has a little bit of a lot of things. The six-card checklist includes Yasiel Puig, Ric Flair, Frank Thomas, Pete Rose, Hope Solo, Royce Gracie and Dave Hester. Shop for 2013 Leaf National VIP cards. Leaf Bucks: Collectors who open select Leaf products at the company's booth will be given special Leaf Bucks. These can be redeemed for exclusive cards and other items. Highlights include new Leaf Valiant Damian Lillard Rookie of the Year autographs, six Yasiel Puig cards available nowhere else and a Johnny Manziel autographed sketch card. 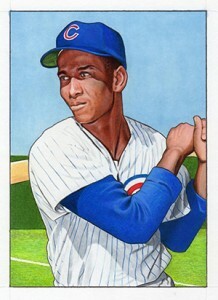 A Josh Gibson cut signature card will also be given away. 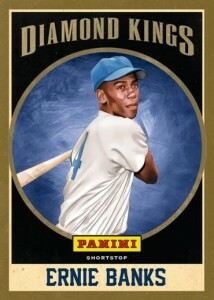 Panini is going to be very active at the 2013 National Sports Collectors Convetion. Card highlights are below. Full details of all their activities can be found on their blog. Wrapper Redemption: Panini is once again producing a comprehensive wrapper redemption set that encompasses baseball, basketball, football and hockey. Inserts include Chicago-themed Team Colors and Diamond Kings. 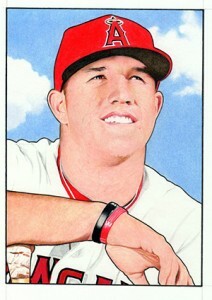 Autographs, memorabilia cards and athlete-drawn sketch cards also appear. 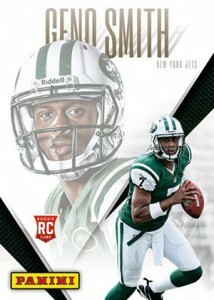 Shop for 2013 Panini National Wrapper Redemption cards. 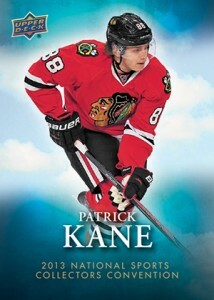 VIP Package: Panini has a six-card set available to 2013 National Sports Collectors Convention VIP ticket holders. The checklist includes EJ Manuel, Nail Yakupov, Oscar Taveras, Geno Smith, Nerlens Noel and Ben McLemore. To receive a set, VIPs must take the coupon from their arrival package to the Panini booth. 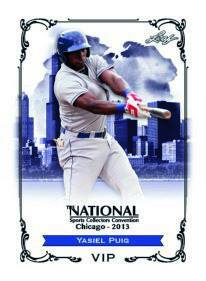 Shop for 2013 Panini National VIP cards. VIP Package: Each 2013 National Sports Collectors Convention VIP gift bag comes with five FanFare Fan Following cards featuring NASCAR drivers Danica Patrick, Dale Earnhardt Jr., Jeff Gordon, Jimmy Johnson and Tony Stewart. 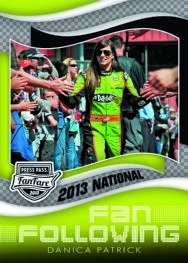 Shop for 2013 Press Pass National VIP cards. Mystery Packs: Those who buy a 2013 Press Pass NASCAR product at the National in Chicago will receive an exclusive two-card Mystery Pack. Each special pack has one autograph not available anywhere else that's numbered to 10 or less. The checklist has about 50 drivers. The second card in each pack is an exclusive 2013 Press Pass FanFare parallel that's numbered to 3. 2013 Bowman Platinum Baseball Redemption: Topps has produced an exclusive 25-card set for those who open a sealed box of 2013 Bowman Platinum Baseball at the show. 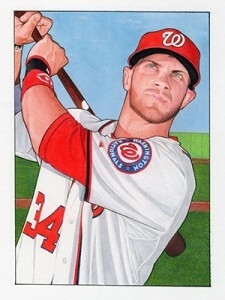 The 2013 Bowman Platinum foil set is limited to 500 numbered copies. Randomly inserted are also autograph cards from such players as Byron Buxton, Carlos Correa, Taijuan Walker. There is also as a Yasiel Puig autograph redemption. Collectors will need to open a fully sealed hobby box of 2013 Bowman Platinum Baseball in front of a Topps representative at the show. The promotion is limited to 100 sets per day, and one per person. Because of the small quantities each day, lining up early is a wise move. Shop for 2013 Bowman Platinum Baseball National Convention exclusives. 2013 Topps Gypsy Queen Yasiel Puig: Collectors who open a box of 2013 Topps Tribute World Baseball Classic at the Topps booth qualify for an exclusive Gypsy Queen Yasiel Puig card. Collectors can get one per day. A maximum of 100 will be given out each day. 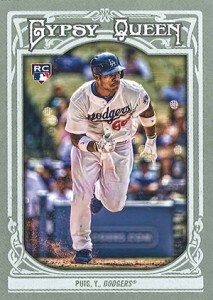 Shop for 2013 Topps Gypsy Queen Yasiel Puig National Convention exclusives. VIP Package: Upper Deck has a six-card set for VIP pass holders. The checklist includes players from all four major sports: Michael Jordan, LeBron James, Wayne Gretzky, Tiger Woods, Jonathan Toews and Frank Thomas. 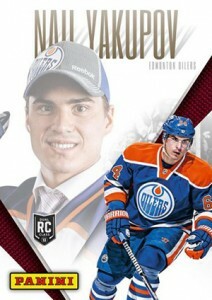 Shop for 2013 Upper Deck National VIP cards. Autographs are randomly inserted in Upper Deck's five-card wrapper redemption packs. Shop for 2013 Upper Deck National wrapper redemption cards. Dynamics ePlate Packs: Collectors who apply for a Dynamics ePlate Visa at the 2013 National Sports Collectors Convention receive a free pack of Upper Deck Infinite cards that are exclusive to the rewards program. Upper Deck has a bunch of other activities planned for the 2013 NSCC for both collectors and dealers. You can get full details about them on Upper Deck's blog. Cardboard Connection Radio will be broadcasting live from the National throughout the duration of the event. Everyday there will be at least one live broadcast from the show. Visit the crew at booth #C1. Friday, August 2, 2013 12 Noon-4pm – Special autograph guest: Lisa Marie Varon, aka Tara from Impact Wrestling, aka Victoria from WWE. Autographs are free for collectors in attendance. Saturday, August 3, 2013 – Artist Sean Kane of PaintedGloveCollectibles.com will be at our booth showing off his amazing skills and painting in person. Sunday, August 4, 2013 – Sam Smith from CardSmithsBreaks.com will conduct a live case break of 2012-13 Panini Rookie Anthology Hockey at our booth. Two lucky listeners will earn spots in the break. Throughout the week, collectors can get their hands on special NSCC Cardboard Connection Radio gear, mystery trading card packs and more. Artist Brian Kong, who has worked on numerous sports and entertainment trading card sets, has a pair of exclusive Matt Harvey and Yasiel Puig cards available for free at the show. He also has a limited edition mini card set featuring Bryce Harper, Yasiel Puig, Mike Trout and Manny Machado. Collectors can get free autographs from Kong as well as watch him create new artwork. Every day, Goldin Auctions is giving away a $100 gift certificate to someone who signs up for their Fall Catalog. If you're already on their mailing list, you can enter by confirming with them. At the end of the week, they'll do a grand prize draw for a $1,000 Goldin Auctions gift certificate that's good through October, 2014. They will also have a variety of high-end memorabilia on display, previewing items from their Fall Catalog. These include game-used bats from Babe Ruth, Lou Gehrig and Roberto Clemente, a 1996 Derek Jeter game-used helmet, and "The Cambridge Find" of more than 170 19th Century cards. Leland's is bringing some impressive pieces to sell and showcase at the 2013 National Sports Collectors Convention. Among them is a T206 Honus Wagner. The card comes with a price tag of $1.2 million. Other items include a ball from Roberto Clemente's final game, an 1881 Michigan football program and a Yankees pinstripe #3 jersey worn by George Selkirk, Babe Ruth's replacement. Leland's will also be actively buying at the show. Panini is hosting a very exclusive party on Saturday. It is by invitation only. Collectors can earn an invitation by being one of the first 75 people to spend $7,500 on select Panini products at the show. There's also another promotion that allows five collectors to get in by buying at least $3,500 worth of Panini products at the show using a Dynamics ePlate Visa. Among the party's confirmed guests include Yasiel Puig, Pedro Martinez, Chris Chelios, Michael Kidd-Gilchrist and Thomas Robinson. DJ Kool will be providing the music. You aware of any promo codes for the National? Ryan � Haven’t heard of any. why call this a national when its held only in chicago and cleveland. this show should be in edison nj,new york,philly. There’s also the west coast and down south. It is heading back to Atlantic City in a couple of years. If I have autograph #1 for Rick Monday and Jerome Walton and #4 for Ernie Banks do I need to get in line earlier than their scheduled time? Tim Lindgren � There will be lineups. Wait times will like vary from signer to signer. OK. Thanks, but as a follow up question, doesn’t having autograph ticket #1 get me first in line? Not sure. You’d have to check with TriStar. #1 does not mean you’re first. Platinum packages go first followed by all access VIP. Then numbered tickets. Will I have to trade in my Bowman Platinum box at the National in order to get the special collectors set? Tom � From the way they worded their press release, you open the box at the Topps booth then they give you the redemption set. You definitely won’t have to give up your cards. I was just wondering. It will be my first National. Do you have a booth there? Tom � The CC Radio team will have a booth set up and will be broadcasting throughout the show. Be sure to drop by and say hello. 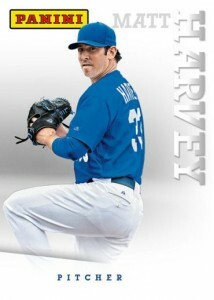 I forgot to mention that the Bowman Platinum redemption sold out very quickly each day last year. With just 100 per day, it’d be good to head straight for the lineup for it. hope it never goes back to baltimore , worse experience i ever had . bring it back to saint louis , houston hell try phoenix that would be good as well .